First things first, yes, I’m wearing this cardigan again. 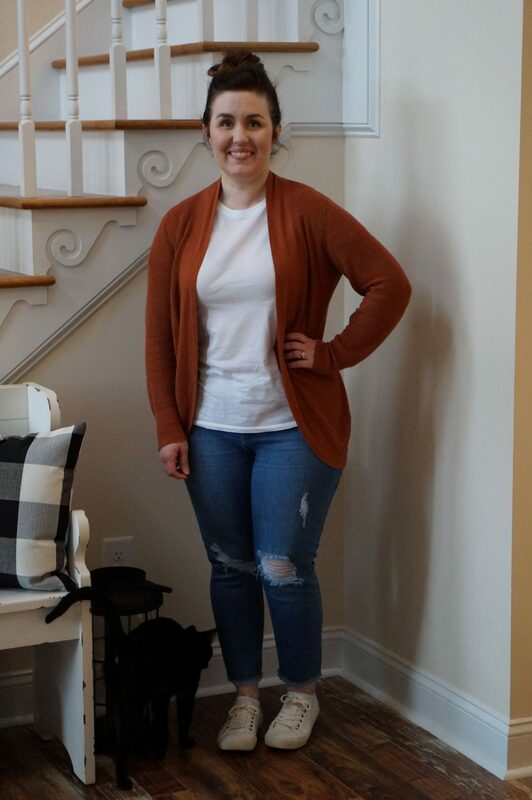 This is a blog where I share my actual outfits, and I’ve been wearing this so much recently. It’s been perfect for the weekend, but I’ve also worn it to work. 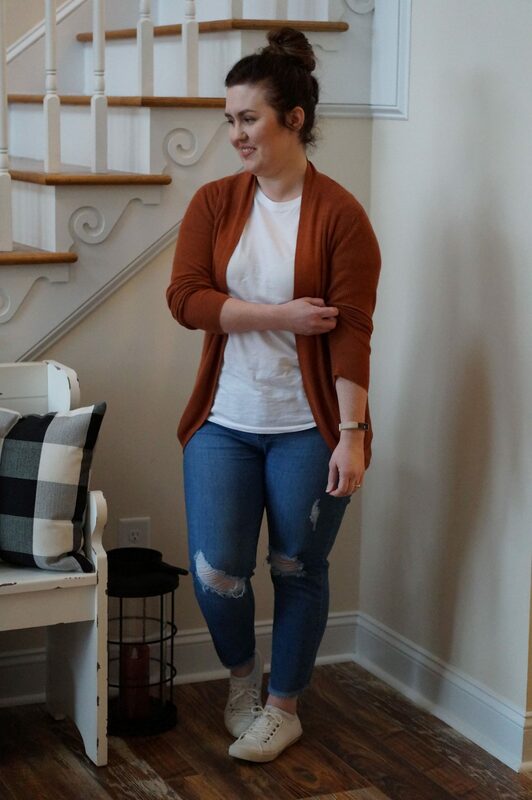 I’m in love with this color so much so that I’m thinking about purchasing another cardigan in this color (more on that on Friday). 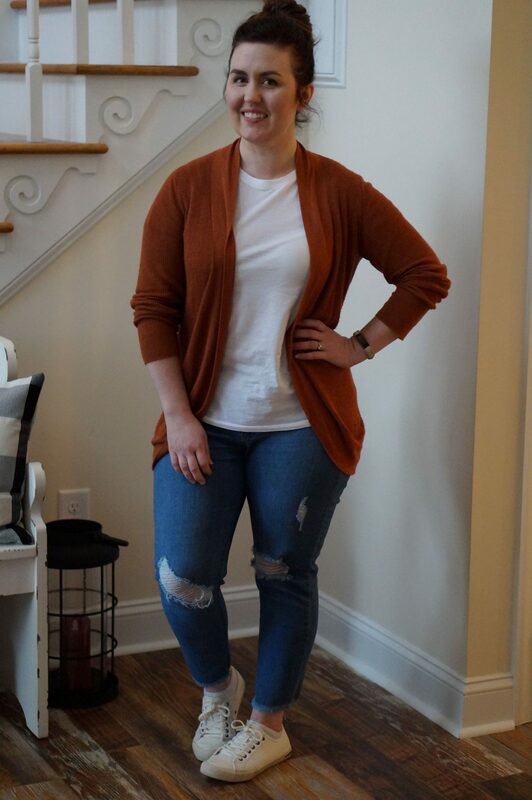 But for now, know that this cardigan was one of the best purchases of 2018 for me. Also, I couldn’t help but include this first picture, as I was really shocked that Zoe (our cat) strolled into the picture. You can just barely see her in the shadows. About 20 seconds after this picture was taken, she waltzed up the stairs and reached through the banisters to bop my head.